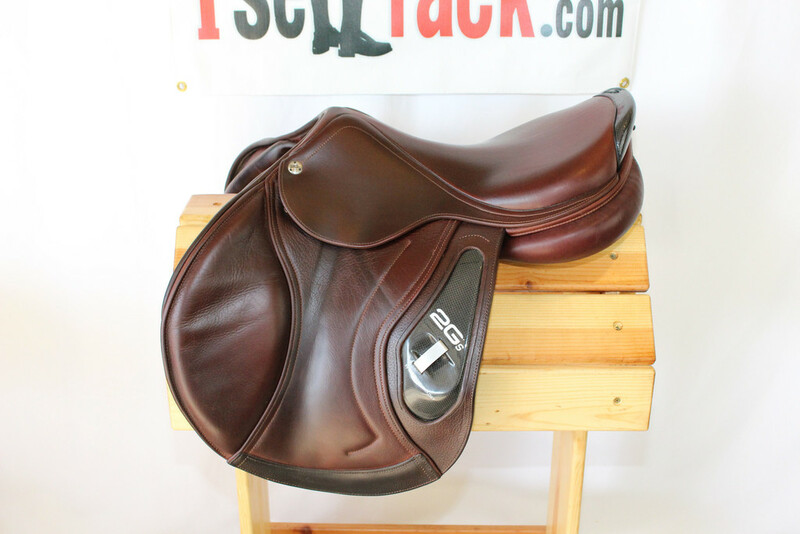 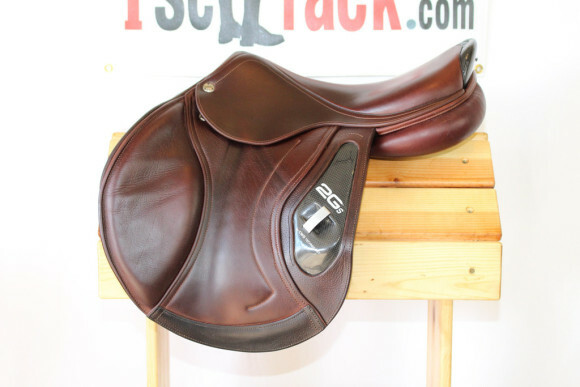 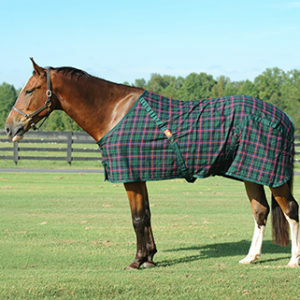 2013 CWD 2Gs generous 17.5″ seat with long and forward 3C flaps measuring 14″ long x 15″ wide and regular 4.5″ tree. 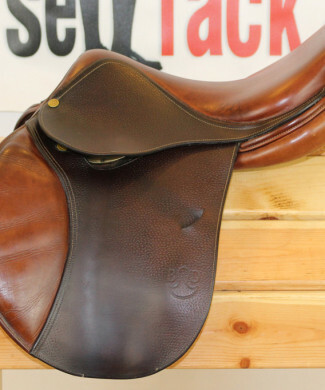 This beauty features luxurious, full buffalo. 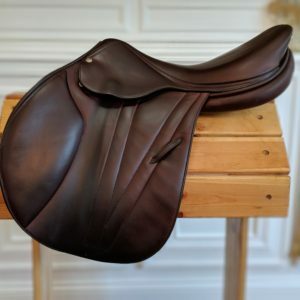 This saddle has panels that will fit A LOT of horses. 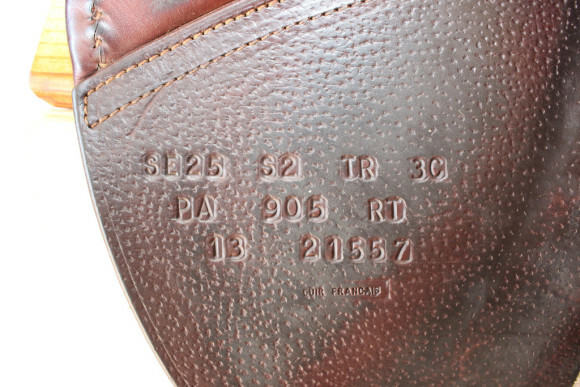 Front and rear blocks. Secure and grippy and very comfortable to ride in. 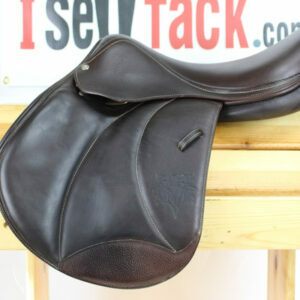 Fabulous quality and workmanship, made in France. 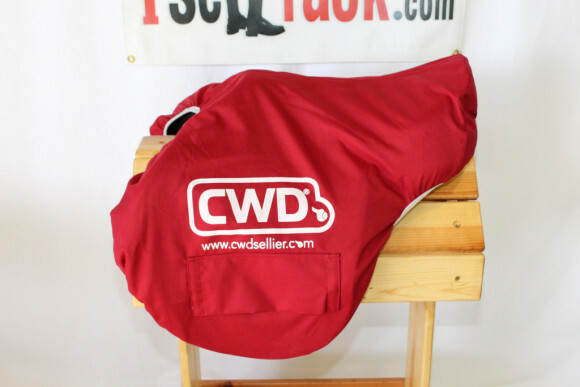 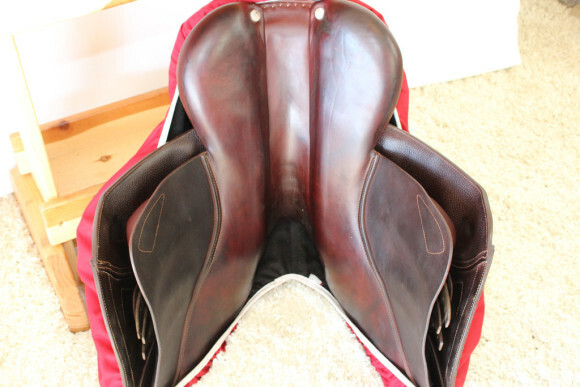 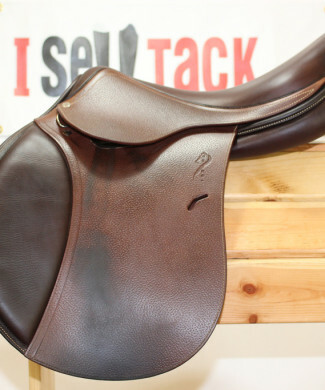 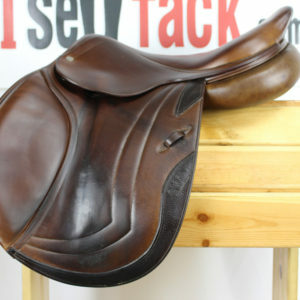 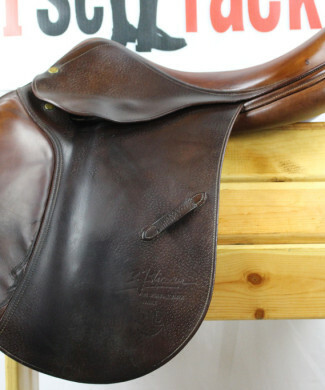 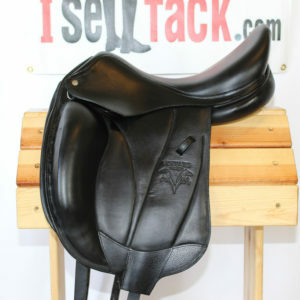 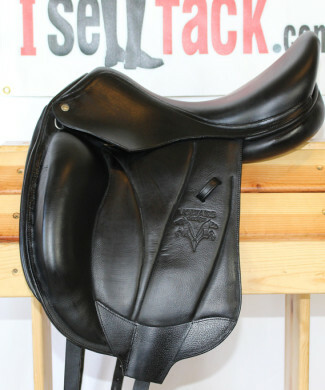 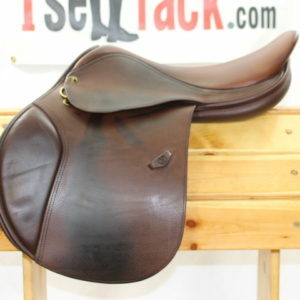 Sells with lined CWD saddle cover. 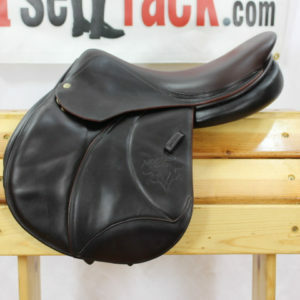 This saddle is hard to find and in a popular seat/flap/tree configuration – it won’t last long! 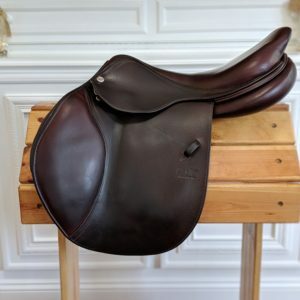 So don’t miss out – available for trial! For our trial terms, click here. 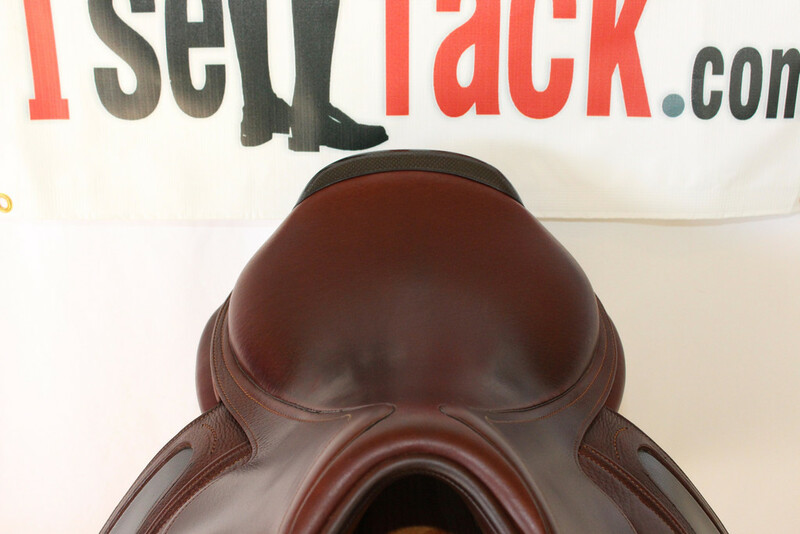 FINAL SALE PRICE $5,875. 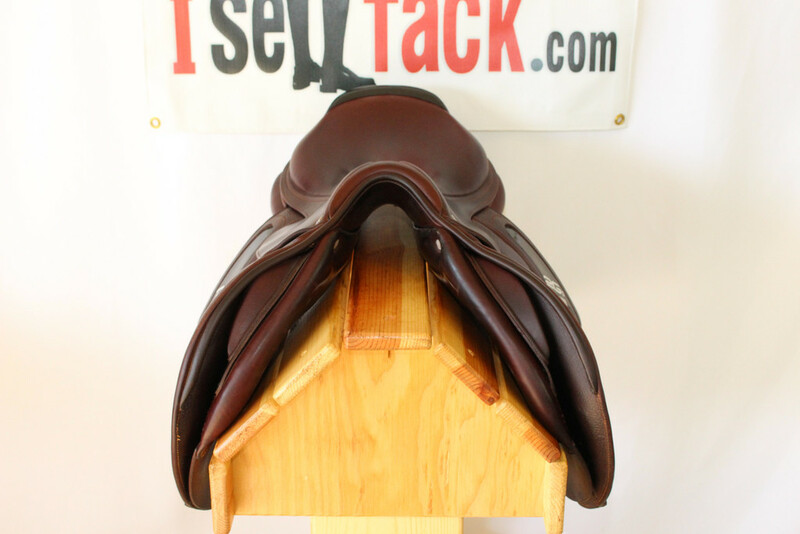 Serial number is 13 21557. rachel@iselltack.com | 240-643-3989. 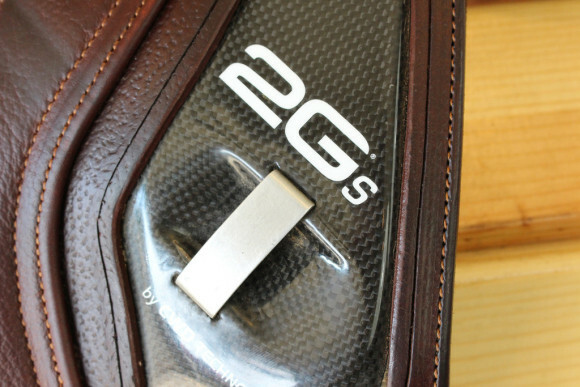 Performance is in its nature The 2Gs sensation. 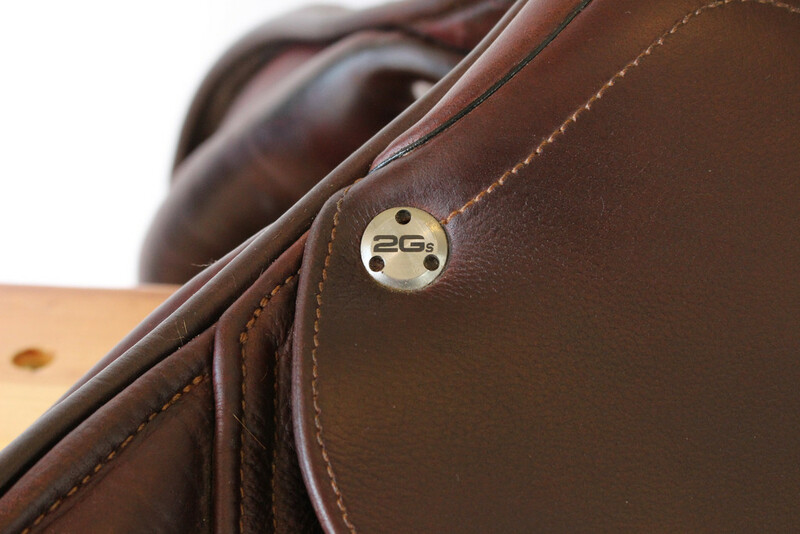 With its ingeniously-modified DNA, the 2Gs saddle pushes the limits of performance. 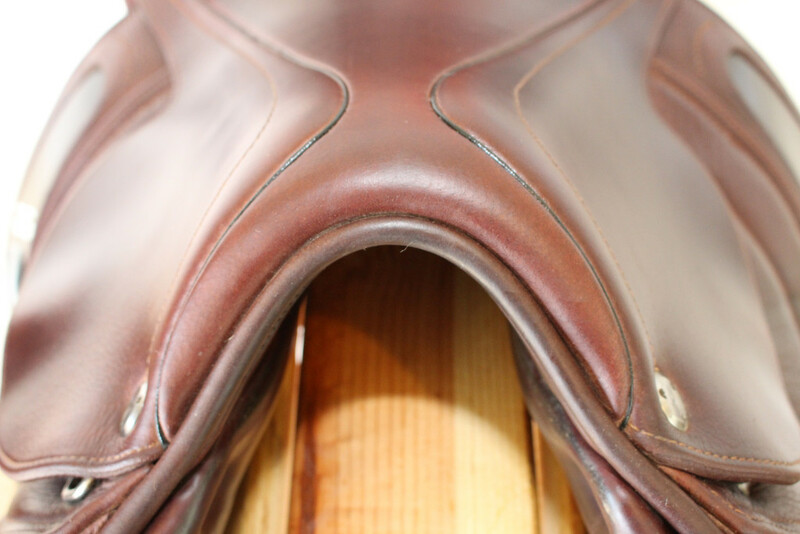 Combining new technologies with cutting edge materials, it is the perfect expression of our obsession with sport that mirrors your expectations. 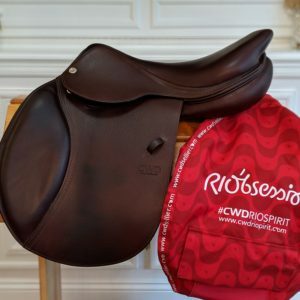 Its carbon fiber Kevlar composite backbone, embedded within a material devoid of structural impact, optimizes the saddle’s flexibility as well as its resistance. 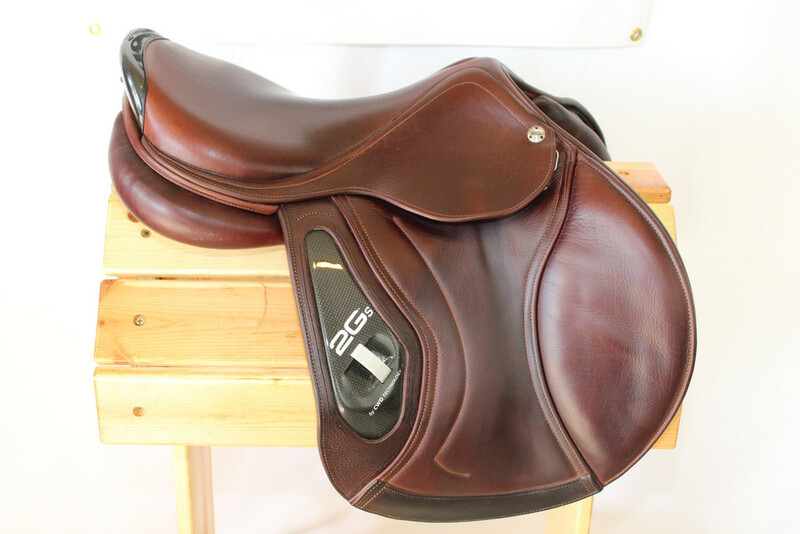 This is the power of the 2Gs’ excellence… and of yours. 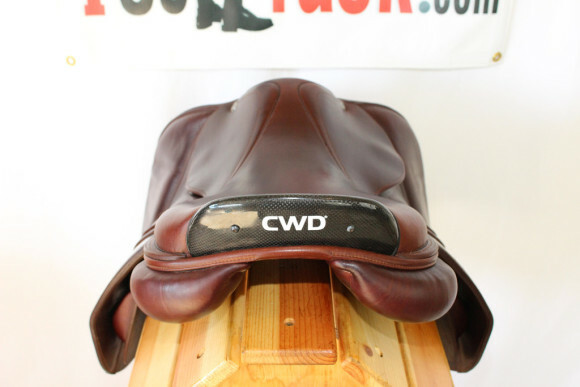 Discover the intensity of innovation created by CWD TECHNOLOGY and prepare yourself for the shock of a saddle with pleasure in its genes. Pure Sensation. The embedded carbon seat enables the rider’s center of gravity to be 1.5 cm (019/32″) closer to the horse. 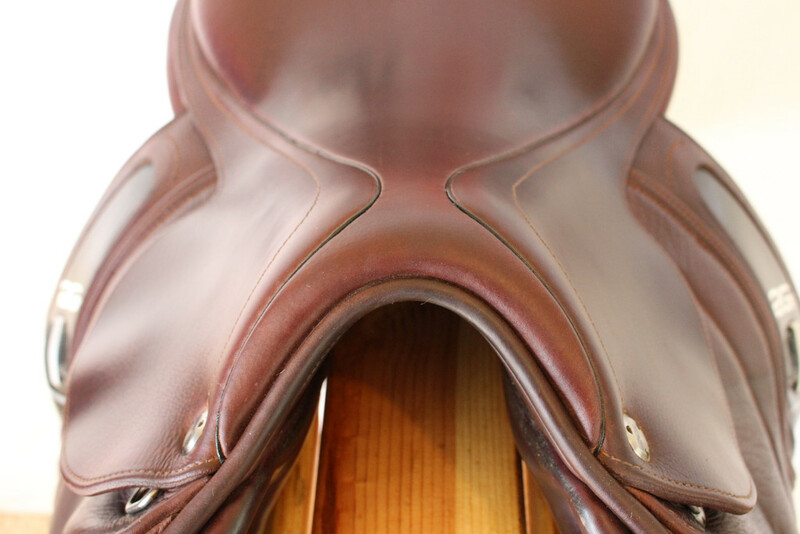 Integrated panels ensure real close contact. 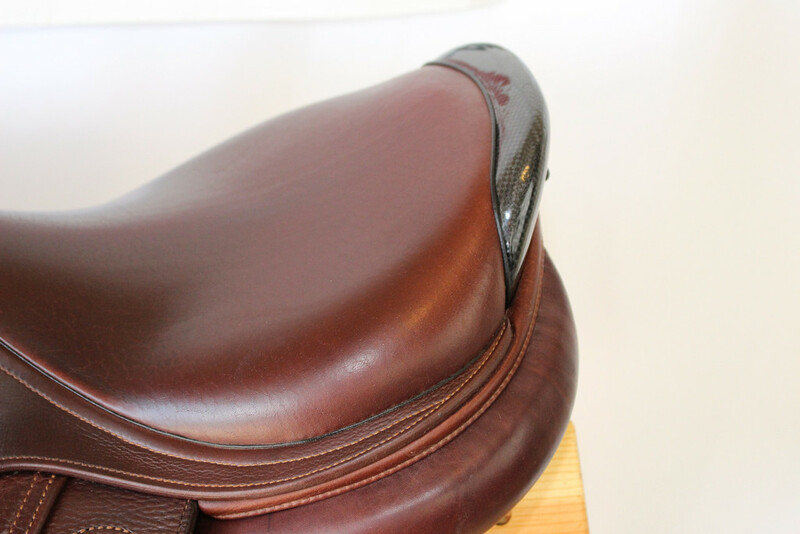 Gel padding in specific areas of the seat improves the rider’s comfort, guaranteeing a more ergonomic and precise design. 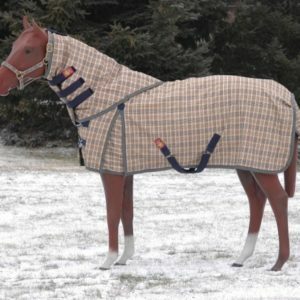 100% Style. Reinforced pro-active flaps maintain the leg firmly in place. 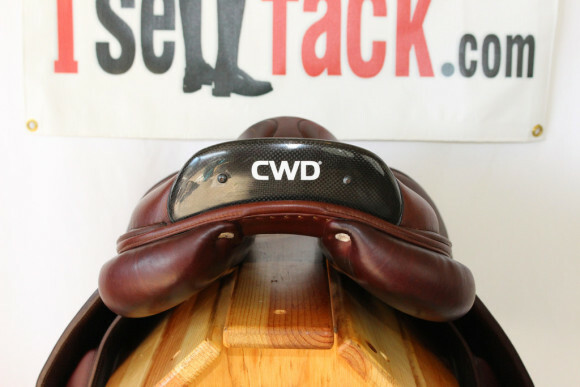 The carbon cantle protector avoids premature wear of this area. 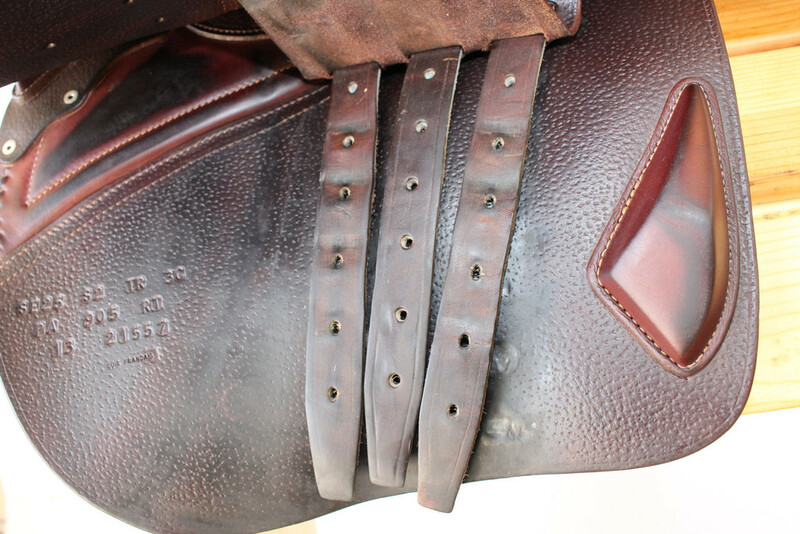 Carbon stirrup bars 10 times lighter and 4 times stronger than traditional ones. Total Solution. 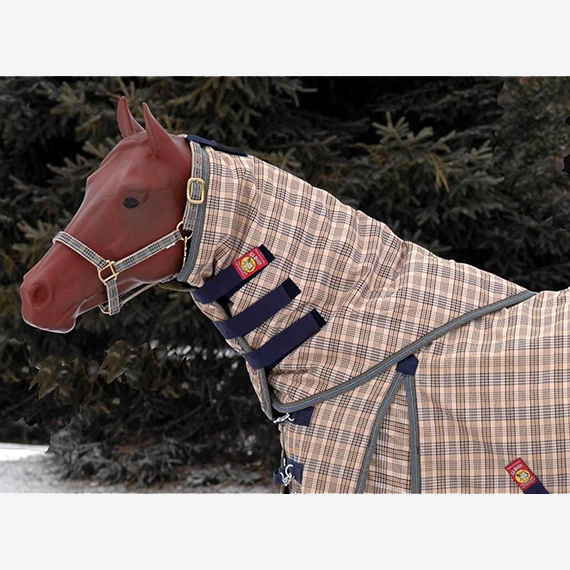 Dynamic tree adapts to the horse’s morphology. 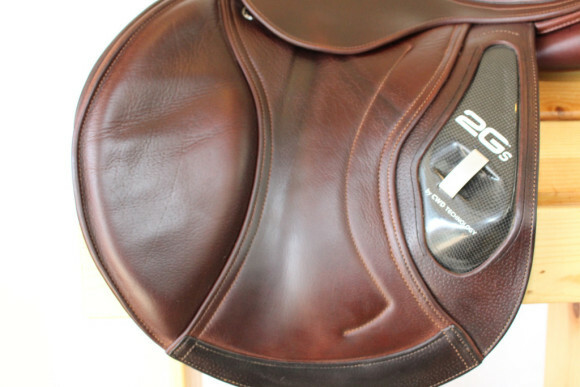 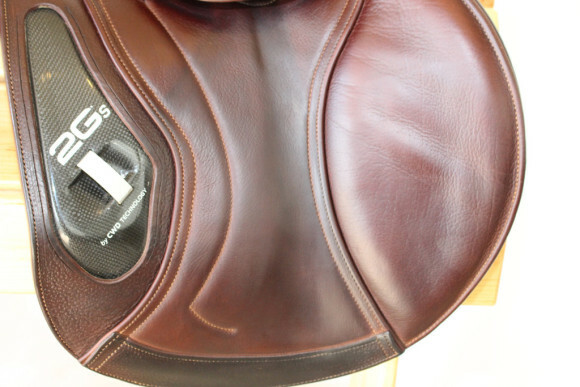 Shaped saddle flaps to ensure perfect contact and placement of the rider’s legs. Stirrup leather surcingles positioned lower to reduce the thickness under the skirt. 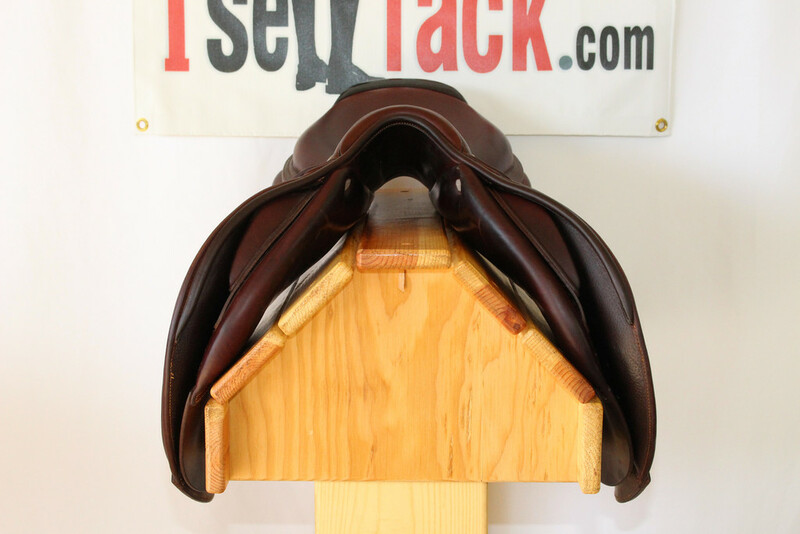 Saddle reacts to the movements of both horse and rider.